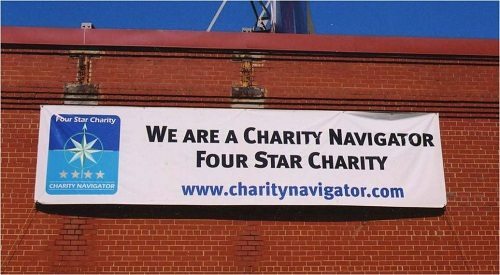 Charity Navigator 3.0: The Empirical Empire’s Death Star? Editor’s Note: The following essay, written by William Schambra, the director of the Hudson Institute’s Bradley Center for Philanthropy and Civic Renewal, is one part of a two-part point/counterpoint series. The other essay in this series, by Charity Navigator President and CEO Ken Berger, is available here. The empire of empiricism – the kingdom of counting, the sultanate of statistics – continues its relentless march from conquest to conquest. Thanks to Charity Navigator, metrics is now poised to seize the commanding heights of the nonprofit sector, having long ago conquered and thoroughly colonized the land of philanthropy. Grantmakers have, of course, long since embraced the rigorous measurements proposed by Charity Navigator 3.0. Every organization grantmakers support now describes its programs in the rigorous logic of cause and effect, specifying that a “dosage” or “measure of exposure to its activities” will produce the desired effect – and submits statistical evidence that those dosages work; outlines a plan to collect such evidence in the future; and compiles a list of validating agencies that vouch for its work. And grantmakers require their grantees to “collect and publish feedback” from their primary constituents. Long gone are the dark ages when grants might have supported some young, passionate activist who wanted to start a movement from scratch; some professional disenchanted with the established procedures, yearning to try a different but purely experimental approach; some cause that probably was never going to succeed, but was worth supporting nonetheless because it was simply just and right. All such grants would have been based on mere feelings, on hunches, on subjective moral or religious preferences. None of them could have specified the precise dosages needed to inch the arrow along from clearly understood cause to clearly predicted effect. The empirical empire could not have recruited a more suitable agent than Charity Navigator for its latest expansion. After all, CN 1.0 – its earlier effort to rate charities according to the relative amounts spent for program versus overhead – long ago established clear and indisputable definitions for terms like “joint cost allocations,” etching a sharply defined and universally accepted line between expenses for fundraising versus programming. Having silenced complaints from the professional accountants as well as the direct marketers, no wonder Charity Navigator looks forward now to expanding its efforts from the placid, settled, brightly lit world of financial accounting into the more turbulent realm of measureable outcomes. Charities that provide the data called for in CN 3.0 will, he maintains, “find it easier to attract funding than charities that don’t…This is what many donors are and will be looking for.” By way of evidence – heaven knows he’d best not make such a bold statement about donors wanting statistical evidence without supplying his own statistical evidence – he cites a study done by Hope Consulting in 2010 in which fully 90 percent of respondents said that an organization’s effectiveness is important to donors. Only 35 percent of donors ever do any research, and almost three-quarters of these spend less than two hours at it. Ironically, among those who do research, overhead ratio – that rusting, hopelessly inadequate relic of CN 1.0 – is still “the number one piece of information donors are looking for.” Only 24 percent regard outcomes as the most important information (and so it would seem that step one for CN 3.0 will be to rip up the remodeling done by CN 1.0). Of those who do research, the overwhelming majority – 63 percent – use it only to validate their choice once they’ve made it—to confirm that the group they’ve already chosen isn’t a total fraud. Only 13 percent use the research to actually help them choose between multiple organizations (i.e., to make decisions about which is comparatively the better performer). So here’s the upshot of all this sifting and winnowing: that vast, glorious, swelling multitude of voices demanding more measurement quickly melts away under the harsh scrutiny of…measurement. Now, Berger might say that of course this is the case because the outcomes data that donors so desperately want simply haven’t been available so far. That’s why Charity Navigator’s work will be so eagerly welcomed. He would tell us that donors currently rely on the heart rather than the head in their giving, because so far there’s been nothing to “feed your head,” to quote Jefferson Airplane. Well, let’s take a closer look at the reasons of the heart presented by the sampled donors in the Hope Consulting study, which found that donors divide into six segments. One of those segments is indeed the impact giver, but confirming what we’ve heard so far, that was only 16 percent of the donor population, accounting for only 12 percent of donations. The largest category of “heart-based” giver, at 23 percent of the population, is the “repayer.” This person supports organizations that have had some sort of impact on the giver or a loved one. The other categories each command between 13 percent and 18 percent of donors. They include the “casual giver,” who gives to well known nonprofits that they happen upon; the faith-based giver, who contributes out of religious conviction; the “see the difference” giver, who donates to small, local charities because it’s easy to see the results first hand; and the “personal ties” giver, who contributes because friends make the ask or work for the association. All told, the “heart” reasons account for 84 percent of the giving. Now, in the parlance of the fishing industry, this 84 percent was just “bycatch” from the survey, the purpose of which was to dredge up the truly valuable and useful donors who give according to impact. That’s a lot of bycatch to get to 16 percent. But as I was looking over all the useless fish – the large and seemingly random variety of non-impact reasons – that were just being tossed back into the sea, this thought occurred to me: in fact, the reasons aren’t at all random and valueless. Rather, they add up to a coherent and valuable orientation. Furthermore, it’s an orientation that brought to mind no one so much as Alexis de Tocqueville, the Frenchman who wrote the first and, as far as I’m concerned, still the best account of American civil society. What Would Alexis de Tocqueville Say? Tocqueville would have looked at these findings and said: sacre bleu! This is precisely what I would have predicted of these peculiar Americans. Their charitable giving isn’t driven by some abstract and impersonal notion of organizational outcomes. Rather, it reflects the web of personal relationships in which they’re enmeshed – the immediate, tangible, local, often-religious community to which they belong. Giving expresses their deeply embedded love of and loyalty to what’s close, what’s familiar, what’s personally meaningful: family, neighborhood and voluntary association. This is a function of the American principle Tocqueville described as “self-interest rightly understood.” We don’t explain our charitable acts in grand or cosmic terms, he observed. We don’t say that we stopped to help that stranded traveler alongside the road out of a love of humanity. Rather, we maintain that we stopped because we knew – or at least hoped – that someone would do the same for us or our loved ones in the same situation. That’s not particularly inspiring, perhaps, but it’s far more reliable, accessible, and available than any abstract intellectual concept of benevolence. Small wonder, then, that Americans, as Hope Consulting found, give to groups from which they have themselves benefited, groups that they encounter in their daily lives, groups recommended on the advice of friends and neighbors, groups producing practical results that they can see and touch, and groups motivated by religious and moral convictions. But Tocqueville would have added that this is not only the way Americans are. It’s also precisely the way they should be – indeed, must be – for freedom to survive in this age. Americans, he argued, are all too likely in this modern, materialistic age, to become completely absorbed in the pursuit of immediate, private commercial gain. That’s why we need a vital local civil society, right in front of our faces, to draw us out of that individualistic isolation, to engage us in the affairs of our own immediate communities, wherein we learn through direct, daily interaction with others to become responsible, self-governing citizens. Our vast, bewildering, and ever-growing profusion of nonprofits – in all their naïve, amateurish, bumbling, redundant glory – may appall those who want to see social services delivered in a neat, orderly, rationalized and centralized way. But Tocqueville would have said that this is a small price to pay for the education in democratic self-government provided by our thick, organic, local network of civic associations. So Tocqueville would have said that the “reasons of the heart,” about which Berger is not particularly enthused, are precisely reflections of the “habits of the heart” that are essential for the preservation of a free democracy. And however problematic we believe these reasons of the heart to be, it’s critical to understand that they are indeed reasons. They’re reasons that everyday Americans embrace and celebrate; reasons that have prompted a great and sustained flood of generosity in this country; reasons with a substantial historical and philosophical pedigree; reasons essential to American self-government. They’re not just third-rate substitutes for which people have to settle while they’re waiting for measureable outcomes to arrive. This is important particularly when we reflect on that sweeping indictment by David Hunter: “there is virtually no credible evidence that most nonprofit organizations actually produce any social value.” This is true only if we define “social value” in the most constricted, mechanical, instrumentalist way, as measureable movement from cause to effect. But if we understand social value to include other important items – an engaged citizenry, strong neighborhood bonds, democratic self-government, and community revitalization – we might come to a very different conclusion. What we’re really being asked to do is to exchange one social value (civic engagement) for another (measureable outcomes). One of those values has generated billions of dollars of charitable giving over the centuries from the overwhelming majority of Americans; the other . . . well, we really have no idea what sort of giving it would generate, since only 3 percent of the American people embrace it right now. Now, to be clear, Berger isn’t the first to condemn the inefficiency and waste of American charity, nor the first to champion its replacement by efficient, measureable, science-based dosages of interventions along the chain of causality. Indeed, Charity Navigator’s new project itself has a substantial pedigree. It goes back over a hundred years, to Carnegie’s complaint that the vast majority of giving is wasted, and to Rockefeller’s insistence that we stop just treating the symptoms of problems and instead get to their root causes so that we could solve them once and for all. Central to this effort, the early foundations agreed, was the disparagement of dispersed, scattershot local giving reflecting parochial, unscientific, religious allegiances and the elevation of giving efficiently managed according to rational, coherent, professionalized norms. In short, CN 3.0 is just the latest chapter in the ongoing effort by rigorous, scientific philanthropy to extinguish once and for all superficial, haphazard charity. As Berger suggests, this is indeed a “battle for the soul of the nonprofit sector” – though it’s more like a skirmish in a Hundred Years’ War. But before we permit the empire of metrics to colonize yet another region of civil society, it’s important for us to understand why that region has remained – from the measurement point of view – an untamed and disorderly frontier. It’s on that frontier that we learn to be more than clients passively receiving finely calibrated dosages of interventions by the experts. We learn, rather, to be citizens able to manage our own affairs according to our own lights – however dim those lights may appear to the professional dosage-dispensers. William Schambra is the director of the Hudson Institute’s Bradley Center for Philanthropy and Civic Renewal. William Schambra is a senior fellow at Hudson Institute.